The engine types may include 2.0L 1998CC 122Cu. l4 GAS DOHC Naturally Aspirated, 2.5L 2488CC 152Cu. l4 GAS DOHC Naturally Aspirated. This part fits vehicles made in the following years 2013, 2014, 2015, 2016, 2017, 2018. 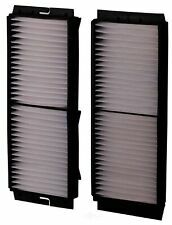 PREMIUM GUARD supplied your vehicles manufacturer with the Cabin Air Filter. We think your vehicle needs 0. Last Updated: 04/23/2019 11:38:11 PM. The engine types may include 2.0L 2000CC 122Cu. l4 GAS DOHC Naturally Aspirated. Part Number: PC4482. To confirm that this part fits your vehicle, enter your vehicle's Year, Make, Model, Trim and Engine in theCompatibility Table. The engine types may include 2.0L 2000CC 122Cu. l4 GAS DOHC Naturally Aspirated. Part Number: PC6098. Country of Origin (Primary) : CN. To confirm that this part fits your vehicle, enter your vehicle's Year, Make, Model, Trim and Engine in theCompatibility Table. The engine types may include 2.0L 1998CC 122Cu. The engine types may include 2.0L 1998CC 122Cu. l4 GAS DOHC Naturally Aspirated, 2.0L 1999CC 122Cu. l4 GAS DOHC Naturally Aspirated, 2.0L 2000CC 122Cu. l4 GAS DOHC Naturally Aspirated, 2.3L 2260CC 138Cu. Part Number: PA6280. To confirm that this part fits your vehicle, enter your vehicle's Year, Make, Model, Trim and Engine in theCompatibility Table. The engine types may include 2.0L 1998CC 122Cu. l4 GAS DOHC Naturally Aspirated, 2.5L 2488CC 152Cu. Part Number: PA4688. Country of Origin (Primary) : CN. To confirm that this part fits your vehicle, enter your vehicle's Year, Make, Model, Trim and Engine in theCompatibility Table. The engine types may include 2.0L 1998CC 122Cu. 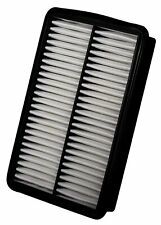 Engine Oil Filter-Standard Premium Guard PG4610. Brand New. Please check part numbers to make sure it fits. Feel free to ask me any questions. Thanks for looking. Part Number: PC4103. To confirm that this part fits your vehicle, enter your vehicle's Year, Make, Model, Trim and Engine in theCompatibility Table. The engine types may include 2.0L 1998CC 122Cu. l4 GAS DOHC Naturally Aspirated, 2.5L 2488CC 152Cu. Part Number: PA6280. Part Numbers: 33-2480, 49247, 619-49247, 61949247, 69247, 707, 9-49247, AF11259, AF1548, AF5211, AF6280, CA11259, MGA49247, SA11259. To confirm that this part fits your vehicle, enter your vehicle's Year, Make, Model, Trim and Engine in theCompatibility Table. Part Number: PA4688. Part Numbers: 33-2293, 416, 42612, 619-42612, 61942612, 62612, 9-42612, A3121C, AF1256, AF3974, AF4688, AF9898, CA9898, CFA1256, MA4688, MGA42612, PA4688F, PAB9898, SA9898, V32-0164, WAF3974. Part Number: PC4482. Country of Origin (Primary) : CN. To confirm that this part fits your vehicle, enter your vehicle's Year, Make, Model, Trim and Engine in theCompatibility Table. The engine types may include 2.0L 2000CC 122Cu. Part Number: PT99124. With over 30 years experience, we are your complete parts source! To confirm that this part fits your vehicle, enter your vehicle's Year, Make, Model, Trim and Engine in theCompatibility Table. Part Number: PA6280. Warranty Duration:1 Year. We are a staffed by Knowledgeable and experienced professionals, giving you "just good old fashioned friendly service"! Mon. to Fri. About the Part. Part Number: PA4688. Warranty Duration:1 Year. We are a staffed by Knowledgeable and experienced professionals, giving you "just good old fashioned friendly service"! Mon. to Fri. About the Part. Part #: PA4688. Warranty Type: Manufacturer Warranty. ABOUT THE PART. Part #: PC4103. Warranty Type: Manufacturer Warranty. ABOUT THE PART. Part #: PA6280. Warranty Type: Manufacturer Warranty. ABOUT THE PART. Part Number: PG241EX. The engine types may include 1.0L 970CC 59Cu. l4 GAS SOHC Naturally Aspirated, 1.0L 993CC 61Cu. l3 GAS Naturally Aspirated, 1.0L 993CC 61Cu. l3 GAS SOHC Naturally Aspirated, 1.0L 993CC 61Cu.